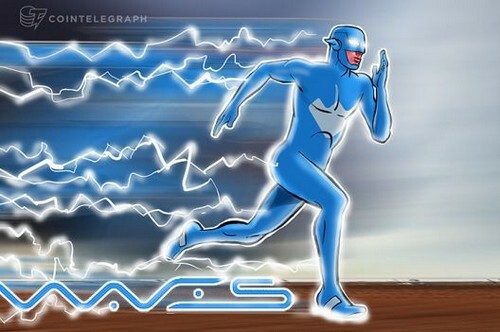 Waves has launched its bid to become the fastest decentralized Blockchain platform in the world as the company has commenced the public stress test for its Waves-NG technology on Nov. 8, 2017. The new technology is aimed at expanding the effective bandwidth and speed of block creation that will significantly benefit the businesses utilizing the Waves platform. The Waves-NG technology is claimed to enable the platform to effectively tackle high loads like the distribution of tokens following crowdsales and airdrops of bonus tokens. It is also supposed to increase the speed of processing trading transactions on the Waves decentralized exchange (DEX). According to Cornell University’s Co-Director of the Initiative for Cryptocurrencies and Contracts, Emin Gün Sirer, Waves has adopted the cutting edge of Blockchain protocols for on-chain scaling with the implementation of Waves-NG. The Waves-NG technology was based on the Bitcoin-NG protocol that was developed by Sirer for the leading cryptocurrency Bitcoin. The NG protocol allows an increase in the number of transactions per block while maintaining the number of forks. The required information to begin generating the next block is delivered to all nodes very fast after the previous one is generated. Only then can a miner send the transactions that will fill the block to the network in several tranches or microblocks.